Not everyone will not leave a positive comment about your business, according to this social media for business tips on customer review on why you should pay attention to them. 7. Take the extra mile. Offer to call the customer instead of telling them to call you, or email you. I just had this experience recently when I had to make a total of 4 calls and emails only to be told that I have to email their tech support so they can prepare an RMA. It turned out that the person doing the RMA is the same person processing it for me. 8. Blog it. 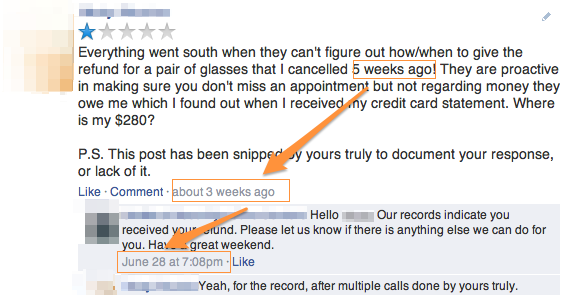 What improvements have you made since receiving that negative review? There’s your content! Tell us your story. There are many businesses out there that can learn from your experience. Experience is a better teacher.